This exhibition at Tate Modern explores the final chapter in Matisse's career in which he began 'carving into colour' giving birth to his series of spectacular cut-outs. It is a once-in-a-lifetime chance to see so many of the artist's works in one place and discover Matisse's final artistic triumph. 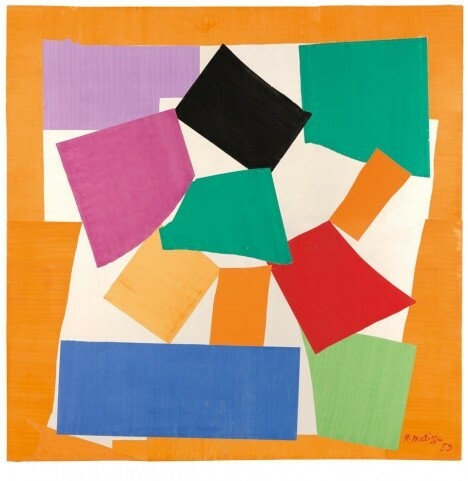 In his late sixties, when ill health first prevented Matisse from painting, he began to cut into painted paper with scissors to make drafts for a number of commissions. In time, Matisse chose cut-outs over painting: he had invented a new medium. From snowflowers to dancers, circus scenes and a famous snail, the exhibition showcases a dazzling array of 120 works made between 1936 and 1954. Bold, exuberant and often large in scale, the cut-outs have an engaging simplicity coupled with incredible creative sophistication.